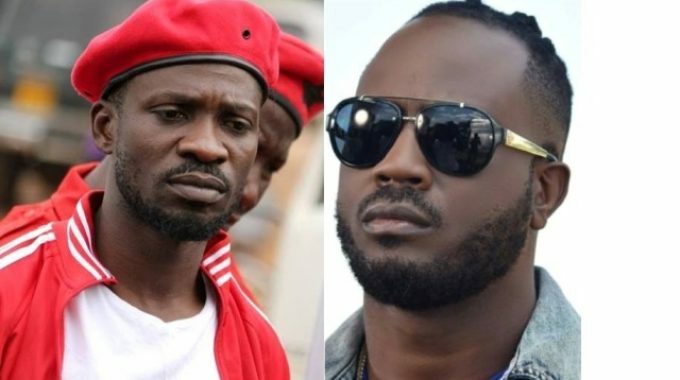 KAMPALA – Musician Moses Ssali also commonly known by his stage name Bebe Cool has said Kyadondo East MP, Robert Kyagulanyi shouldn’t take himself as special and above the law, cautioning him to abide by all laws of the land if he ever wants to hold a concert in Uganda. Bebe Cool made the remarks this afternoon ahead of his Boxing Day concert at Kiwatule Recreational Centre just after Police banned Kyagulanyi from holding his Kyarenga show that was slated to take place at Busabala, citing unfulfillment of Police guidelines. Speaking to NTV, Bebe Cool blamed Bobi Wine’s organisers for rushing to advertise the Kyarenga concert before seeking clearance from all government bodies such as Police, KCCA, NEMA revealing he started seeking for clearance of his concert three months back and got the green light to hold his concert three weeks ago. When asked if his counterpart has been treated fairly, Bebe Cool lashed at the double standards exhibited by media, Bobi Wine and public at large wondering why they never came out to condemn Ugandans who he claimed without evidence were Bobi Wine fans for pelting bottles at his concert in Kololo three months back. Bebe Cool said he isn’t a foreigner in Uganda and just as Bobi Wine, he too has a family to feed and an additional 200 children to look after, unlike Bobi Wine who doesn’t have such dependants to pay school fees for. “He never came out to condemn his hooligans throwing bottles at me. Don’t I have a family to feed? I haven’t seen my colleague of Kyarenga pay school fees for anyone, all I saw was bouncers demanding for their pay ” Bebe Cool said. The statements come after Bobi Wine took to Twitter in the wee hours just after the country joined Christians around to celebrate the birth of Jesus Christ informing his 237,000 followers that dozens of soldiers, Police officers had surrounded his premises at One Love Beach Busabala where his team were organising a show on Boxing Day. In his tweet, Wine said some of his staff had been arrested, sound and stage engineers had been ordered to pull everything down despite the parliamentary resolution last week.